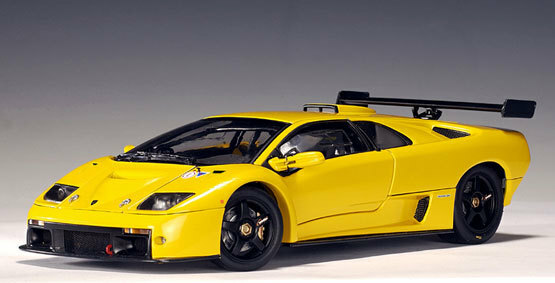 Lamborghini Diablo GTR Yellow 1/18th Scale by AUTOart, $299.99 at Modena Motors Inc.
Long discontinued and very hard to find. Fantastic detailing that AUTOart is famous for. Brand new in box. LAST ONE!! Price based on recent ebay sales! !Will only go higher in value so don't miss this one!! !LAST ONE.